My New Website~ ~and You Can Have One Too. This post is for my amazing Young Living Team. Hey, then this post is for you too. As I sit here in Beautiful Lancaster County today it is snowing and it looks lovely. 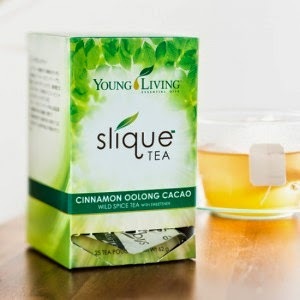 I am sipping a cup of Slique tea. Have you tried it yet? I love the scent and the gentle flavor of this tea. It is good for curbing your appetite. I have BIG NEWS for you and I hope you will like it. As you probably know the Reference Guide for using Essential Oils by: Connie & Alan Higley is a great way to build your Young Living business. Everyone who uses these oils should have a Reference Guide in the house. You will never be at a loss as to which oil to use for any condition. I tell people, Just look it up in the book. Well we now have another amazing tool to use to share our oils and to build your Young Living. When you arrive you will land on the "Landing Page." As you read and scroll down you will see a form. Fill this form out and click "SUBMIT". You will then gain entrance to the site. Be assured that I am the only one who will see your form and I will not share your info with anyone. This will enable the site to automatically send out a series of emails to you. With no effort on your part. Look for these emails in your mailbox over the next few days. As you read them be thinking, I could also have this website with my name on it to use to build my Young Living business. Imagine using this site on your business cards and handing them out. . .everywhere. This is what they call a "Repicating Website". You can have one too. Building your Young Living business has never been easier. This site does some of the work for you. Each email your prospect receives will refer them back to your site. The reason I want you to submit the form is so you can see examples of the emails your prospects will receive. You can then decide if this is something you may want to participate in. You may cancel at any time. I am actively looking for business builders within my organization. I am also looking for new business consultants. Maybe this is not for you and that's OK. My Thanks to you for taking a look. Possibly you know someone who is looking to make extra income or even replace their present income. I would appreciate it if you shared this site with them. I appreciate each of you and would love to chat anytime you have a minute.